We love to spend time outdoors. There is so much to do, so much to explore, and so much to get into these days. Mason keeps me busy each and every day doing different activities, but the one thing I know Mason will do just about every day is blow bubbles. The kid cannot get enough of them! 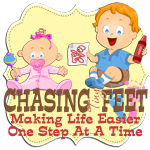 He loves to blow bubbles, pop bubbles, chase after bubbles, and on the list continues. Blowing bubbles is a great activity all year long, actually. I let Mason blow bubbles in the kitchen or in the bathtub where I know the soap will clean up easily. We were so excited to try out the new Bubblin' Glitter Bugs® by Little Kids. 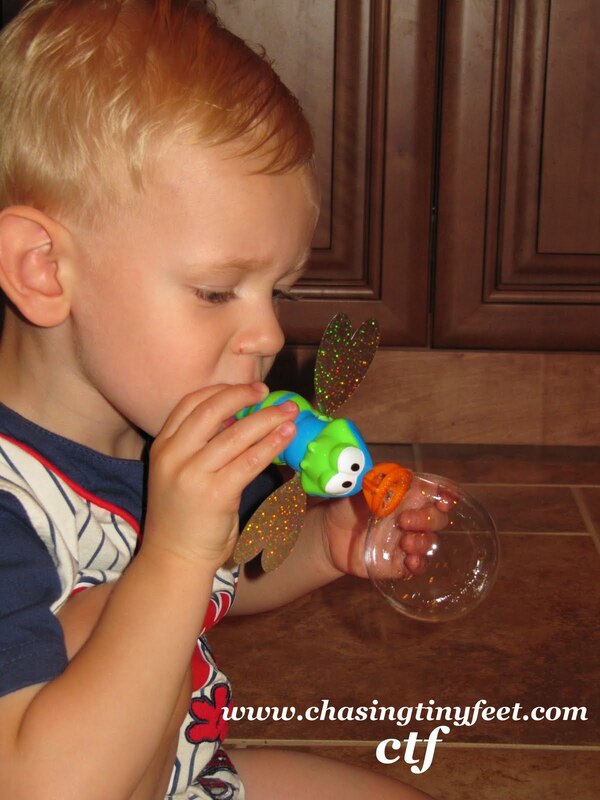 The Bug is so cute and a perfect size for any kids who loves blowing bubbles. It is very easy to blow bubbles through the Bug, which is nice when you have a younger child trying to use this toy. When you blow to make bubbles, the Bugs' wings spin round and round. The wings have a metallic finish to them so when they spin round, they look like they are going to fly away. That is a nice touch. The Bubblin' Glitter Bug also comes with 2 oz bubble solution. This bubble solution is non-toxic and contains no dyes. That's a nice plus! This product is recommended for ages 3 and up. Little Kids provided me with the product above in order to facilitate this review. All opinions are 100% mine.